Despite enjoying a reputation as the world's arguably largest peacemaker, Sweden is also one of the world's largest arms suppliers per capita. Remarkably, even countries it itself deems as dictatorships are frequently among Sweden's customers. In 2016 alone, Sweden exported arms to a number of non-democracies, including Qatar, Saudi Arabia and Thailand. According to a recent government proposal, human rights records should be taken into account when exporting arms. The recipient's democratic status must therefore be a key condition for an arms deal, Swedish national broadcaster SVT reported. "It is Sweden's forte that we have a broad political agreement to update the regulations so that more aspects are incorporated into the overall assessment. 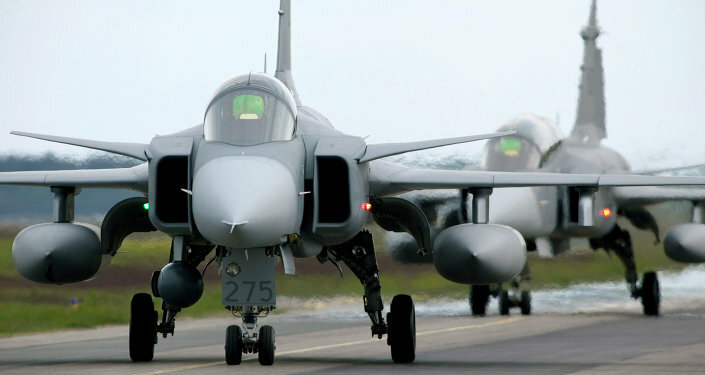 The proposal represents an important tightening of arms exports, while simultaneously ensuring long-term conditions for the Swedish Defense," Sweden's Justice and Migration Minister Morgan Johansson wrote in a press release. The proposal is based on an agreement between the ruling red-green coalition and the opposition parties and is expected to enter into force on April 1, 2018. Originally presented two years ago in a cross-party investigation, the proposed democracy criterion was criticized by peace organizations who felt it did not go far enough, as well as arms producers, who claimed it to be detrimental to Sweden's export interests. Reported disagreements on both governmental and parliamentary levels led to edges being smoothed out in the final draft, in which a total stoppage was specifically excluded. "The dilemma is that you must be able to export, but in an ethically justifiable way," Morgan Johansson explained. Nevertheless, Liberal defense spokesman Allan Widman welcomed the proposal. "Of course I'm very happy about it. My party has been suggesting the democracy criterion for almost a decade, and here it comes," Allan Widman said, venturing that the worst human rights offenders would be made ineligible to procure Swedish arms. However, the proposal was slammed by, among others, the Left party leader, Jonas Sjöstedt. "The most important thing is missing. A straightforward ban on arms exports to countries that are dictatorships, violate human rights or are at war," Jonas Sjöstedt tweeted. Even a Green party foreign policy spokeswoman, Pernilla Stålhammar, felt that a sharper toughening of the rules was in store. In 2016, Sweden sold arms to the tune of 11 billion SEK ($1.3 billion). At present, some 30,000 people are employed in the country's defense industry.